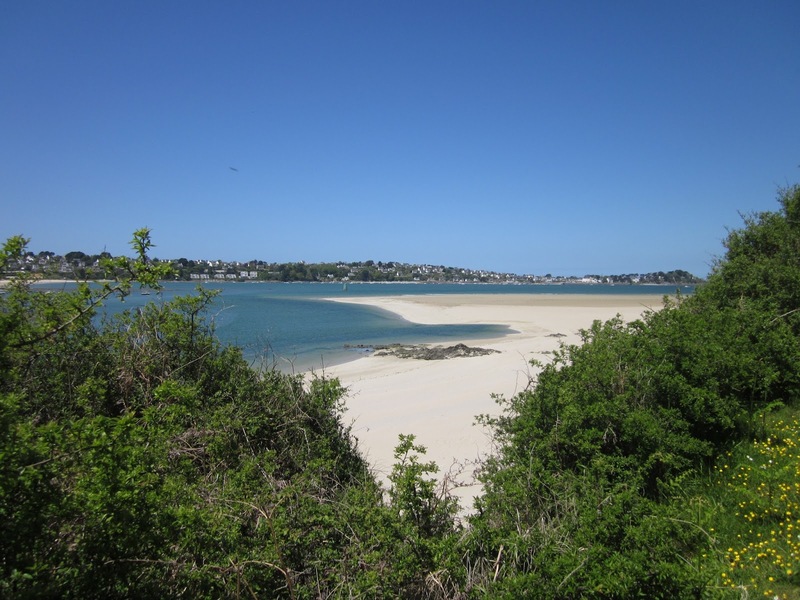 Brittany Walks is organising a walk on the Saints' Shore Way on Wednesday, May 15th, starting from the Chapelle Ste-Barbe at Toul-an-Hery (between Locquirec and St-Efflam) at 2pm. 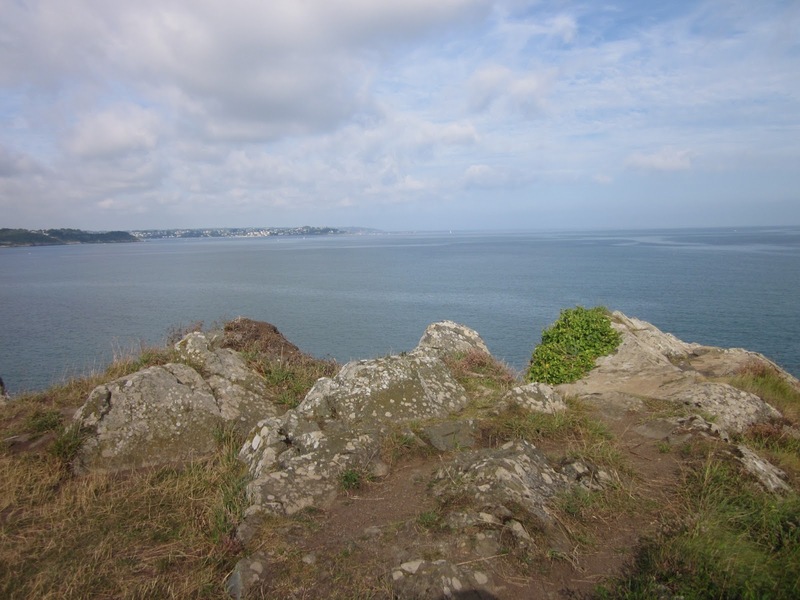 The route follows coast and country paths with spectacular sea views and Roman baths to admire on the way. All welcome, 4 euros. Time to think about getting out on the trail and welcoming some warmer weather. 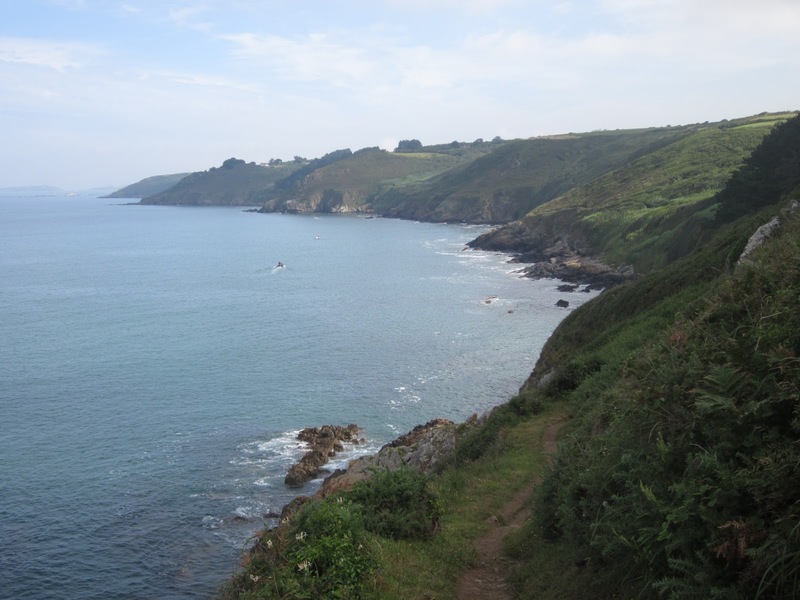 The cliffs of Trédrez near Locquémeau offer wonderful views and undulating paths to get those muscles going... The most challenging section near Beg ar Forn has a short diversion to avoid a vertiginous section, but mostly the path runs about half way between cliff-top and the water with a few rocky scrambles. Not the route for an afternoon stroll, but a great walk! 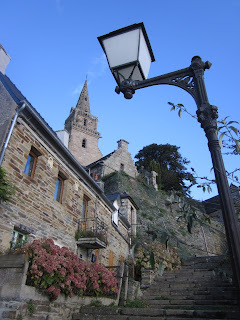 Saint Pol was one of the founding saints of Brittany. 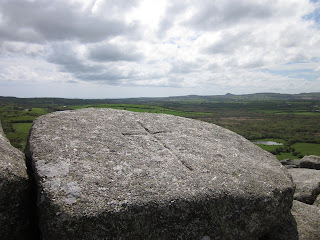 He came from the monastery at Llanwit Major in Wales and made his first stop on the island of Ouessant, where the town is still called Lampaul (holy place of Pol). He may have gone there deliberately to challenge a major centre of paganism. Once on the mainland his journey eastwards is echoed in names like Lampaul-Ploudalmezeau and Lampaul-Guimiliau. 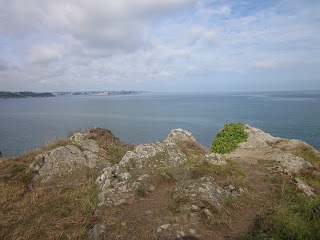 Arriving near the current day St-Pol-de-Léon he was given land on the Ile de Batz by the local lord and there performed his famous feat of leading a dragon (using his bishop's stole) to the cliff edge and commanding it to dive to destruction into the sea. In the cathedral and elsewhere in St-Pol-de-Léon today, look out for many representations of St-Pol and/or his dragon. But you won't find any sign of a cliff at the Serpent's Hole on the Ile de Batz! The Saints' Shore Way finishes in lovely Lannion, and if you want to get the real pilgrimage effect, how about a last climb up the 142 steps to the church at Brélevenez? It's worth it just for views over the town! 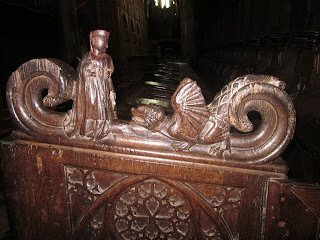 The church was possibly a Templar foundation originally. Thanks to those who have enquired about the guidebook for the Saints' Shore Way. It is finished and going to print shortly. You can pre-order on www.amazon.co.uk or from www.reddogbooks.com. It will also be on sale in tourist offices and bookshops along the way. Plenty of time to organise a week of fabulous walking in Brittany and see these Roman baths on the route at Hogolo. 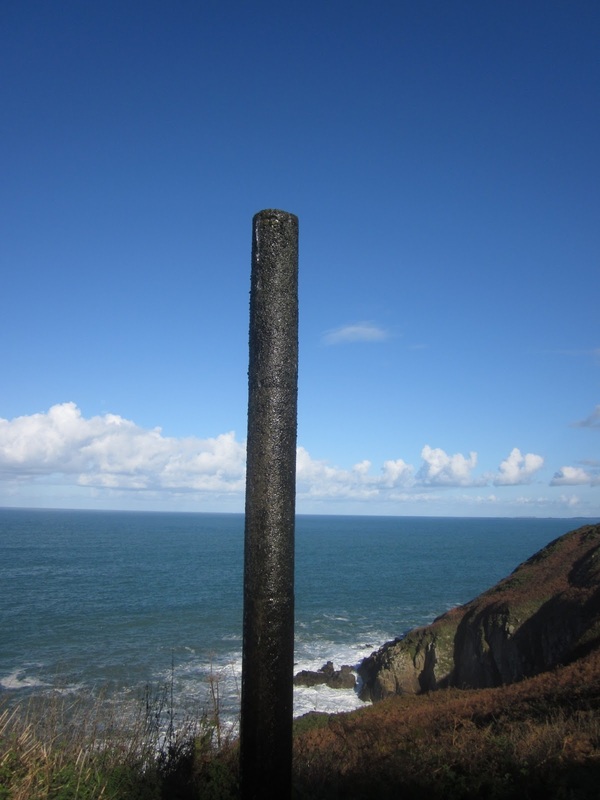 Here's an unusual and very striking sight to be found along the Saints' Shore Way. But what is it? Discover the Saints Way in Cornwall! The idea for the Saints Shore Way in Brittany came from the Saints Way in Cornwall, envisaging the arrival of holy men during the Dark Ages after they sailed from places like Fowey across the Channel. 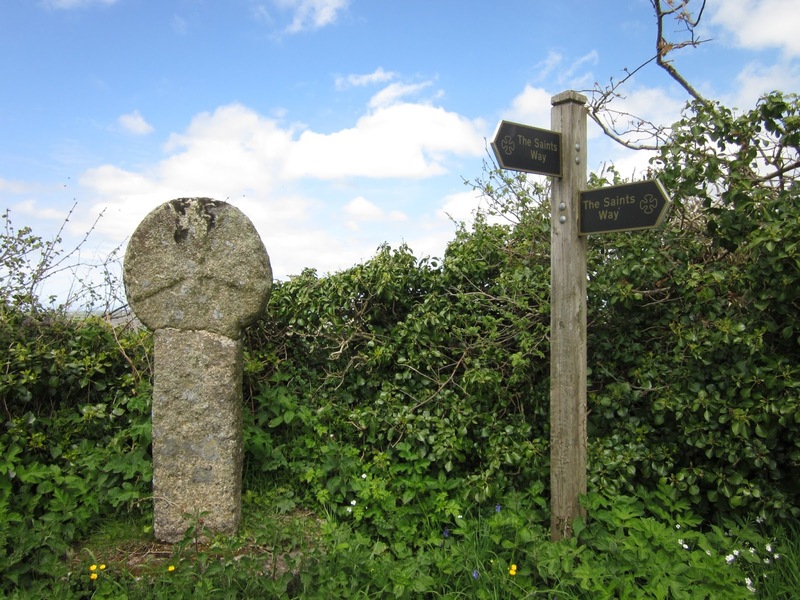 The Saints Way is a 41km walk from Padstow on the north coast of Cornwall to Fowey in the south with much of interest related to Cornish religious and economic heritage along the way, as well as beautiful scenery. 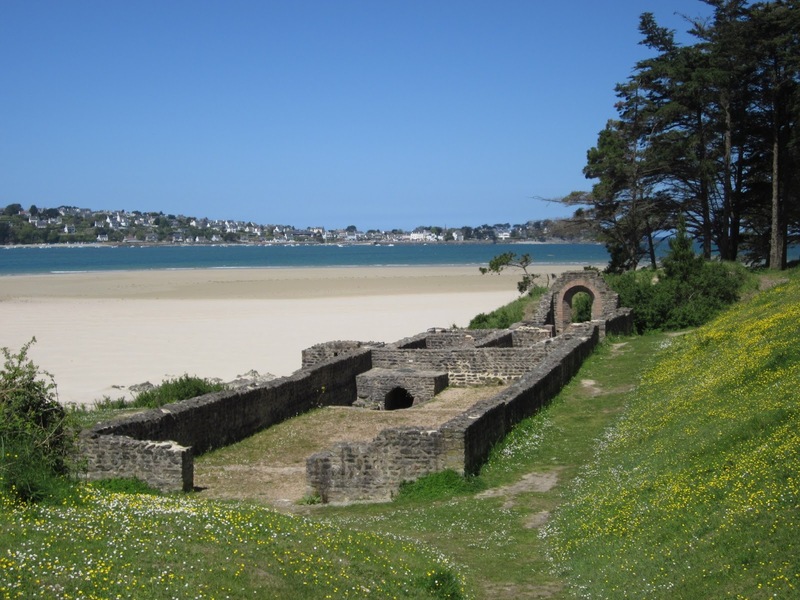 The SSW is a long-distance walking trail on the north coast of Brittany, with themes linking Britain and Brittany through the ages.